Diabetes is a group of diseases that affect about ten percent of the American population. More than 420 million people have been diagnosed with one form of diabetes across the world. The number keeps rising annually, and most people affected don’t have access to treatment. If left untreated, diabetes can become fatal. Diabetes is caused by blood sugar levels. When you eat, the body absorbs the nutrients into the bloodstream and create glucose – the main type of sugar made by the human body. The pancreas produces a hormone called insulin. Insulin is in charge of breaking down glucose into energy. If the pancreas fails to produce enough or any insulin, the blood sugar levels will rise. High blood sugar levels will lead to many dangerous health problems. People with diabetes are at higher risks of obesity and heart diseases. It can lead to kidney failures and blindness. In extreme cases, diabetic people may have to amputate a limb due to infections. Symptoms of diabetes include blurry vision, slow-healing wounds, frequent urination, drowsiness, dry skin, and excessive thirst and hunger. Diabetes is not curable but exercising, and a low-sugar diet can help to manage it. There are also manufactured insulins to help balance blood sugar levels. However, treatments vary depending on the type of diabetes you have. Type 1 diabetes means that your body doesn’t produce any insulin on its own. People with this type of diabetes are said to be insulin-dependent. They have to be administered daily intake of insulin in order to survive. They have to check their blood sugar levels often to assure that it’s not falling too low. This type of diabetes mainly affects children and young adults. It’s very rare among older adults. There is currently no way to prevent it nor cure it. The cause is usually your immune system attacking your pancreas. It destroys the pancreas which means the body has no source of insulin at all. Type 1 diabetes is faster acting than the other types. Symptoms include weight loss, vision changes, fatigue, constant hunger and thirst, and excessive urination. People with this type of diabetes are more inclined to develop diabetic ketoacidosis (DKA). DKA is a condition in which acidic substances known as ketones build up in the body. Ketones form when the body burns fat for energy instead of glucose. This condition is fatal. Type 2 diabetes is the most common form of diabetes. 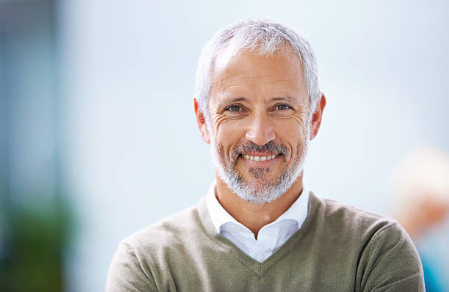 It’s seen mainly in middle-aged and older adults. However, children can develop it. It’s characterized by the body’s inability to produce or use insulin. The pancreas starts to produce more insulin than is truly needed. Once it can no longer keep up with demands, insulin production starts to decrease, and blood sugar levels rise. It’s preventable since it’s mostly due to lack of exercise and excess body weight. There’s also a genetic factor that may play into developing it. It has similar symptoms as type 1, but it’s slower acting. It takes more time to diagnose it. People with this type of diabetic often have dark patches under the fold of the skin in their armpits and neck. It’s not treated with an insulin shot, rather with metformin. Metformin and other similar drugs help the body to use insulin more efficiently. Prediabetes means that you have not been diagnosed with diabetes, but your blood sugar levels are dangerously high. People with prediabetes usually have insulin resistance, or their pancreas is not making enough insulin. These people have the potential of developing type 2 diabetes overtime. Sometimes, there are genetic factors provoking the insulin resistance. Other risk factors include family history, obesity, race, or a history of heart diseases. Prediabetes is diagnosed with blood tests such as AC1 or fasting plasma glucose (FPG). You can reduce your chances of developing diabetes with more physical activities and a healthy diet. 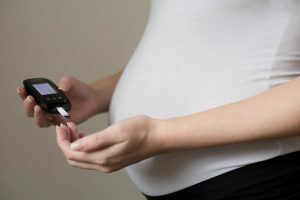 Gestational diabetes is a type of diabetes that affect less than twenty percent of pregnant women. It’s due to insulin-blocking hormones produced during pregnancy. Having gestational diabetes increases the risks of developing type 2 diabetes in both the mother and the baby. This type of diabetes only occurs during pregnancy and usually leaves soon after childbirth. Nonetheless, it comes with heavy complications. It increases the risks of miscarriages or stillbirths, preeclampsia, high blood pressure, and birth defects. Cystic fibrosis-related diabetes (CFRD) is a unique form of diabetes that only occurs in people with cystic fibrosis. Cystic fibrosis is a condition in which a defective gene causes thick mucus to clog your airways and organs. It has a 90% mortality rate. 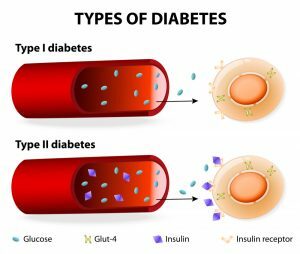 This type of diabetes shares similar features with both type 1 and type 2. The thick mucus damages the pancreas, stopping it from producing a normal amount of insulin. Thus, people with this type of diabetes are also insulin-dependent. Similar to type 2, these people don’t always respond correctly to insulin. This may be due to steroid medications, pregnancy, or sickness. Symptoms of CFRD are like those of cystic fibrosis. Therefore you may not know you have it until you get tested. People with cystic fibrosis are encouraged to get tested for CFRD at least once a year. CFRD is not curable but treated with insulin. You would have to monitor your blood sugar levels regularly. You have to eat a high-calorie, high-salt, high-fat, and high-protein diet. You have to check the amount of carbohydrate you eat to know how much insulin to administer. You also have to remain active to keep a healthy body weight. This is an inherited form of diabetes. It is an autosomal dominant genetic disorder which means it can be passed down from one of both parents. In some rare cases, it’s a spontaneous mutation. Monogenic diabetes means that the body cannot produce enough insulin. There is two form of the disease – neonatal diabetes mellitus (NDM) and maturity-onset diabetes of the young (MODY). NDM occurs in newborns and babies while MODY occurs in adolescents and young adults. It can be treated with medications and a healthy lifestyle. Diabetes affects many people worldwide, but it’s not curable. While some forms of it cannot be prevented, others can help with a healthy lifestyle. The ones that cannot be prevented can be managed with physical activities and a healthy diet. Thus, this is more motivation to always keep up with your healthy lifestyle.